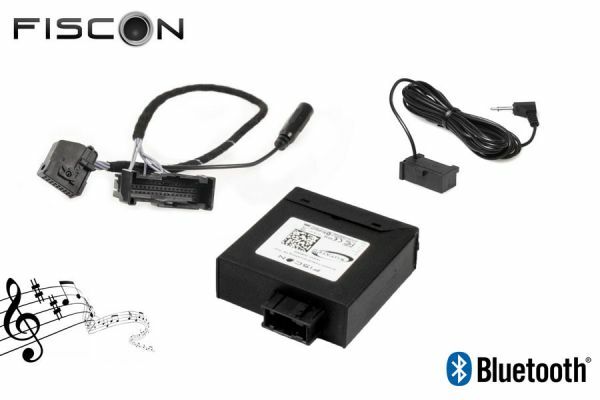 Product information "Upgrade kit universial mobile phone preparation "Low / Premium" to FISCON "Basic" Plug & Play"
Your vehicle is factory fitted with a premium hands free system (rSAP) but your mobile phone doesn't support the rSAP-feature? Your vehicle is factory fitted with an universal mobile phone preparation Low hands free system but you want to expand the range of functionality? Hands free system Premium (rSAP)... to the FISCON hands free system version "Basic"
Customer review for "Upgrade kit universial mobile phone preparation "Low / Premium" to FISCON "Basic" Plug & Play"
Properties: "Upgrade kit universial mobile phone preparation "Low / Premium" to FISCON "Basic" Plug & Play"
Installation manuals for "Upgrade kit universial mobile phone preparation "Low / Premium" to FISCON "Basic" Plug & Play"